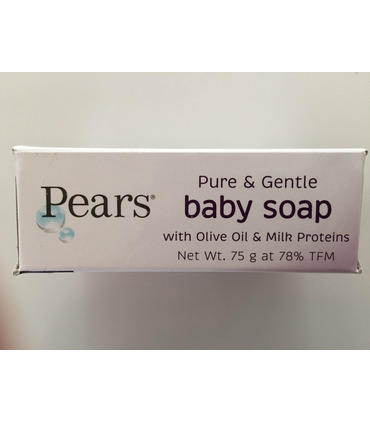 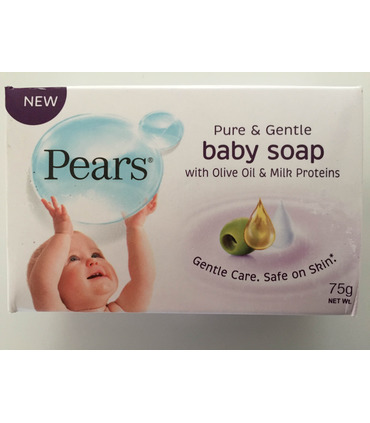 75g, Pears Pure &amp; Gentle Baby Soap is enriched with Olive oil and milkk proteins which cleans the skin without drying, keeping it soft and smooth. 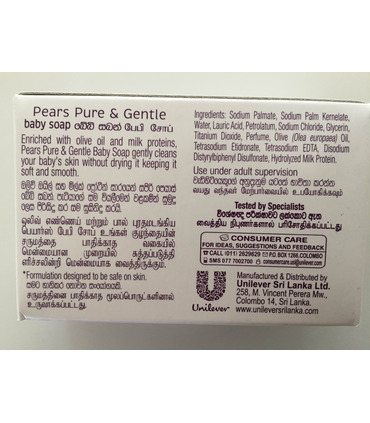 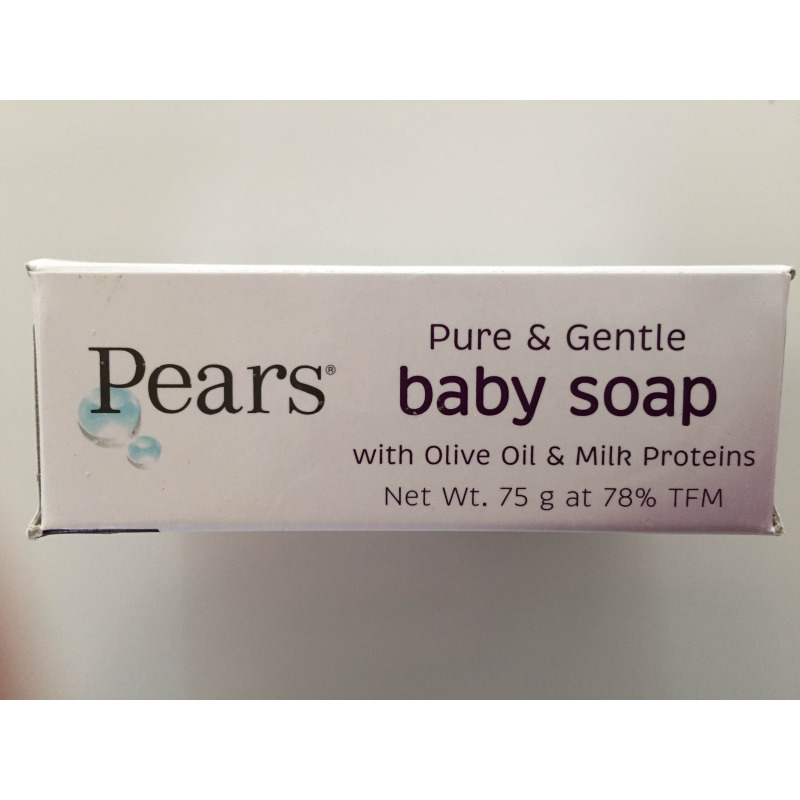 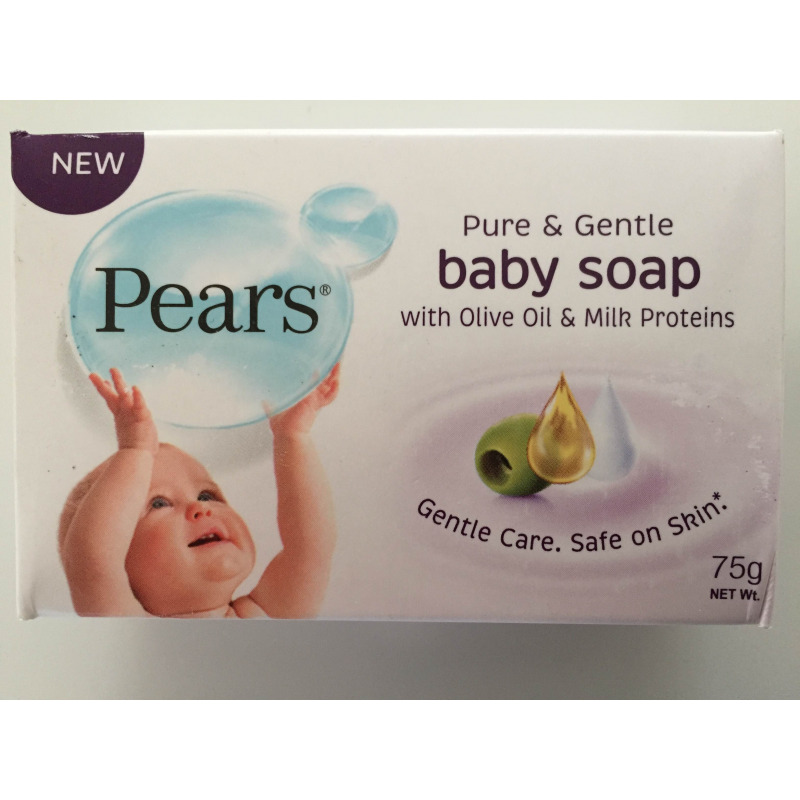 Pears Pure & Gentle Baby Soap is enriched with Olive oil and milkk proteins which cleans the skin without drying, keeping it soft and smooth. 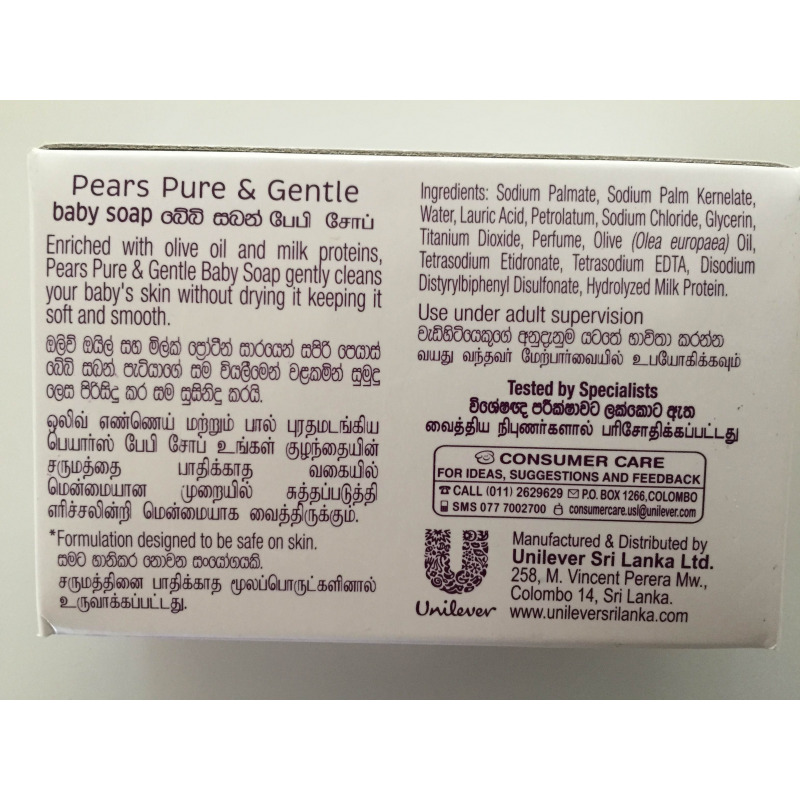 Sodium palmate, sodium palm kernelate, water, lauric acid, petrolatum, sodium chloride, glycerine, titanium dioxide, perfume, olive oil, tetrasodium etidronate, tetrasodium ETDA, disodium distyrybiphenyl disulfonate, hydrolyzed Milk protein.